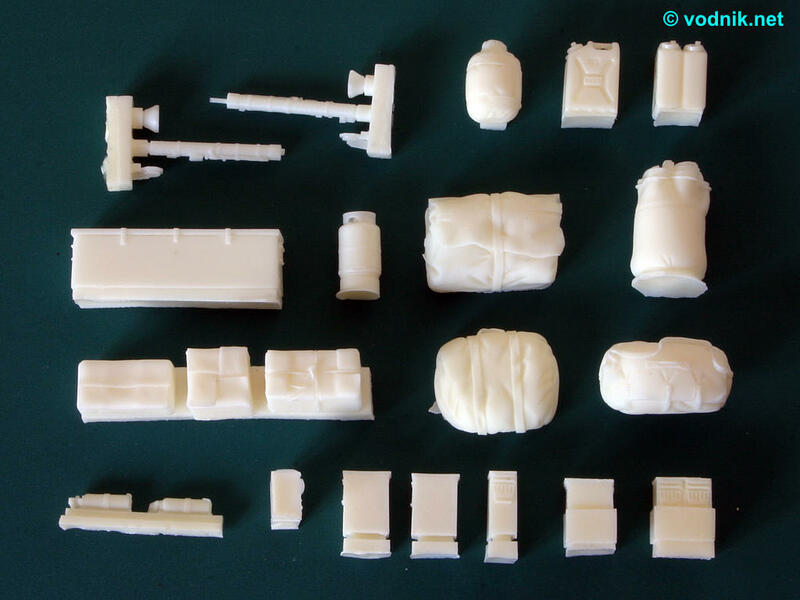 Pro Art have established their reputation on the aftermarket parts market with excellent resin detail sets for Italeri models of the HEMTT family of trucks. After that they were giving modern military vehicle modelers hit after hit - like SINCGARS radios or Dumvee conversion set. Now I received for review humbly looking small set of modern US equipment - excellent to give a busy look to e.g. Dumvee. 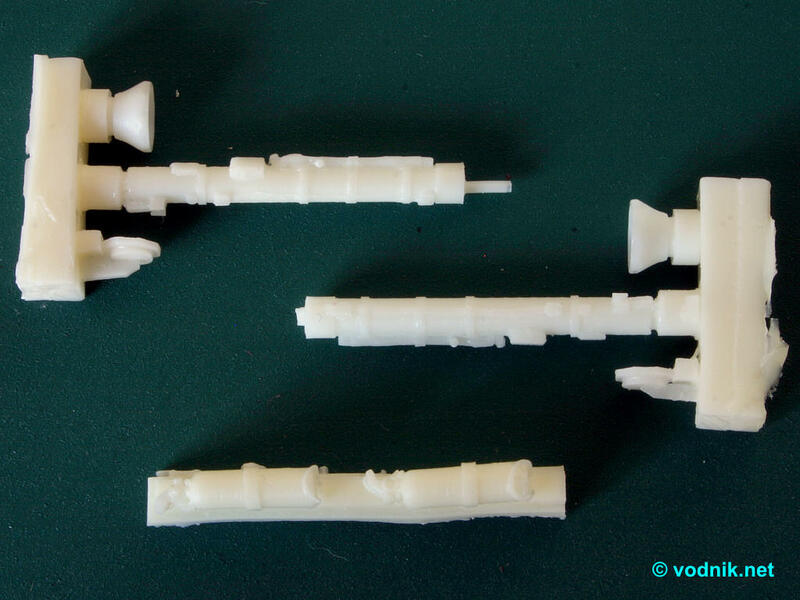 - two M136 (AT4) missile launchers (each made of three parts - main launcher tube and two end discs). There are no instructions provided and only a small color label on the box can provide some clues for painting. The casting quality is very high. There is no flash on parts and only one part has an air bubble in it. 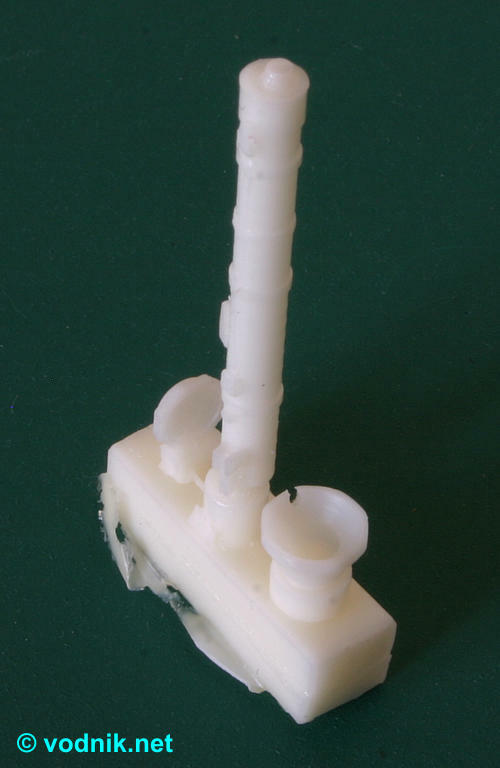 This single bubble hole is in one of AT4 launcher parts and can be difficult, although not impossible to fill and completely hide. Areas of contact between parts and resin pouring blocks are rather large, so quite a lot of cleanup is necessary. 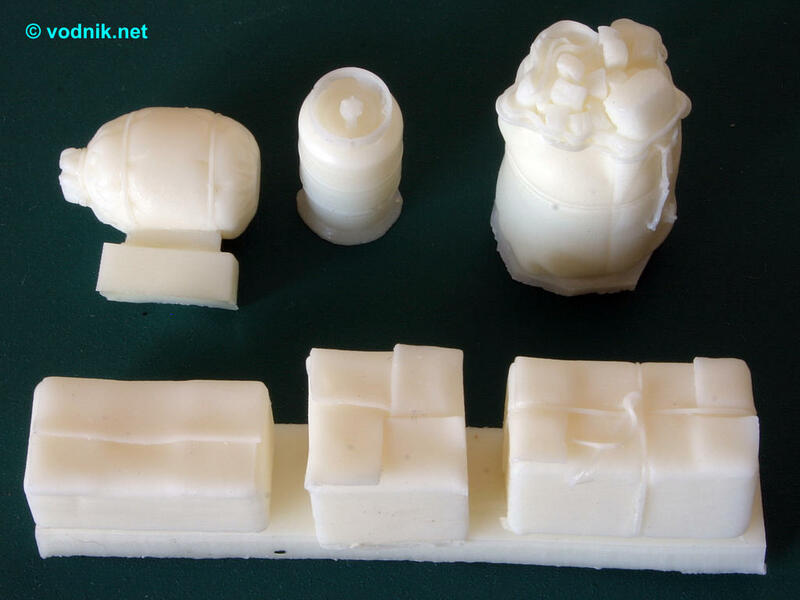 Details on parts are very crisp and nicely sculpted. Click on picture to enlarge it. Sleeping bag, gas bottle, duffle bag and carton boxes. AT4 launchers and fire extinguishers. Click on picture to enlarge it. Air bubble in AT4 part. AT4 launchers are reasonably accurate with nice details molded on, although careful examination reveals that some features are not correctly depicted. The length of the launcher is however correct and the whole piece should look very good when assembled and painted. Most bags in the set look more like some generic items and not standard issue US military equipment. For example sleeping bag and duffel bag hardly resemble most typical US Army equipment. But considering large variety of items, including civilian ones, carried on military vehicles e.g. in Iraq or Afghanistan, it is not a real problem at all. The inclusion of jerrycans only in pairs cast together limits slightly their application options, but again it is not a big problem, as during recent conflicts fought in very hot climate conditions, vehicles usually carry as many water jerrycans as the crew was able to get and attach to their ride. 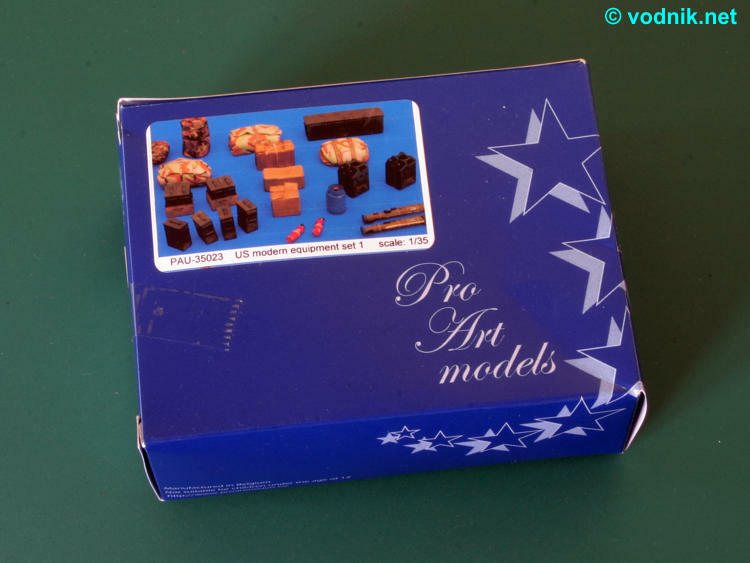 The ProArt set is definitely worth recommendation, although it is not particularly big. 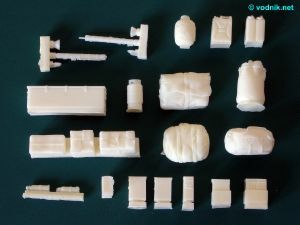 Those few items included are however quite useful and I'm sure that they fit perfectly to the Tamiya Humvee with ProArt Dumvee conversion set. But of course they can be used with many other vehicles and figures! Actually as some of the items are not strictly US military type, they can be used just as well on e.g. British or even Iraqi vehicles!